This was my first dinner of 2014. Actually, my girlfriend and I didn’t put too much thought into what we were going to have but just a casual dinner. 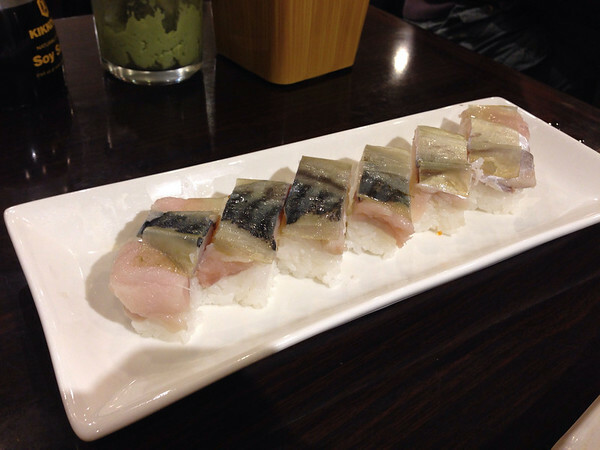 We decided to come to Nao Sushi, a Japanese restaurant which we had visited before for lunch back in 2011. Wow! It’s been more than 3 years since my blogging career? The house was packed, I guess everyone wanted sushi to start the new year! We waited for 20 minutes until getting a table for 2. 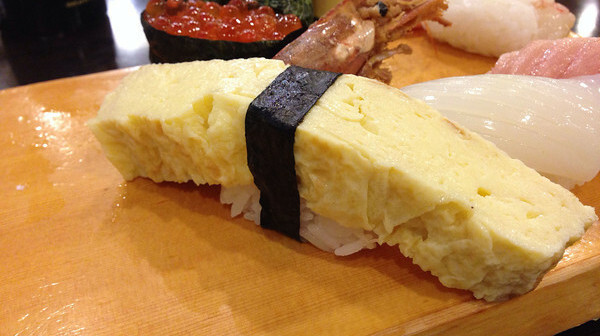 The Saba Battera is a pressed sushi with ginger and saba. However, the rice this time was a bit loose. I barely could pick it up with my superb chopstick skills. 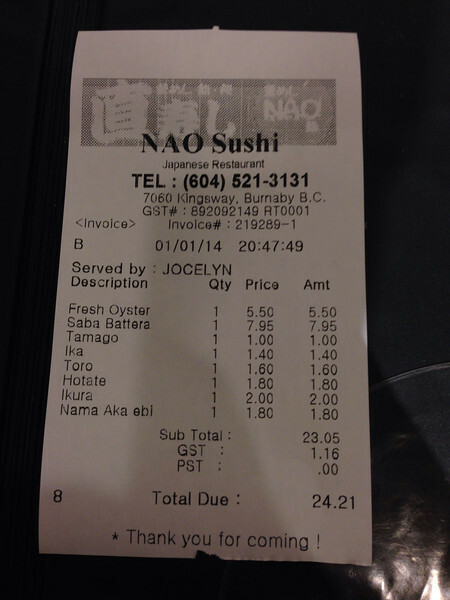 Nao Sushi offers a range of nigiri’s and quite the quality too given its price. 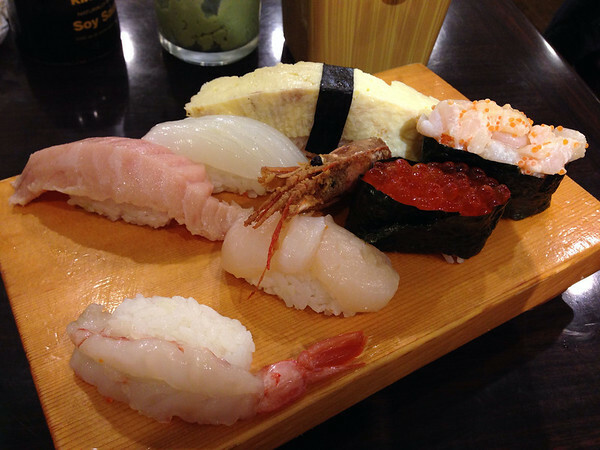 We ordered our favourites, from top-left to bottom-right (toro, ika, tamago, nama aka ebi, hotate, ikura, chopped scallop. The chopped scallop was a mistaken order. The Nama Aka ebi was a special they had, which tasted really sweet just like amebi. The tamago was the biggest tamago I’ve had! 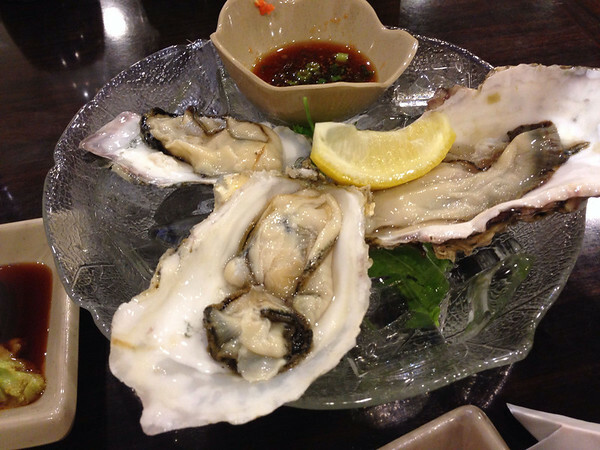 The fresh oyster was quite large and sweet served with ponzu sauce. Under $25 for dinner is a win! i found nao a bit pricey for small portion size.